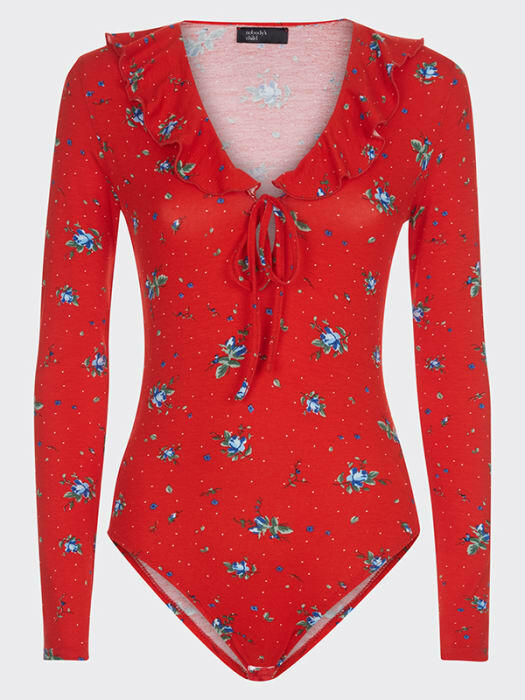 The ever-popular bodysuit gets a makeover for new season in the form of this striking red style. 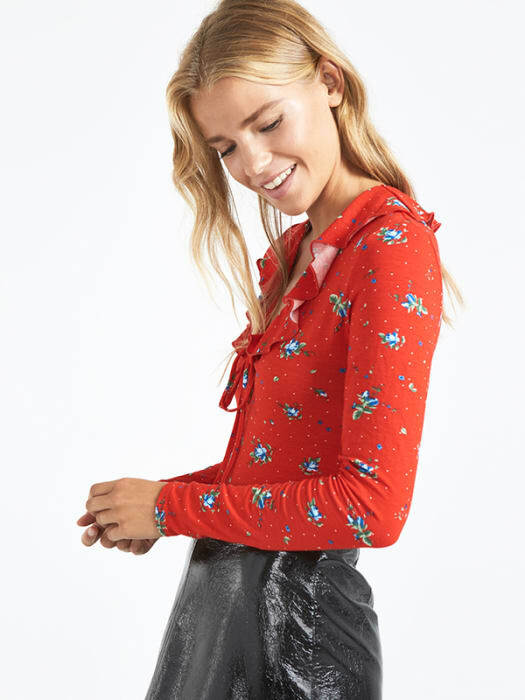 Featuring an all-over ditsy print, the frilly neckline features lace-tie detail at its point. 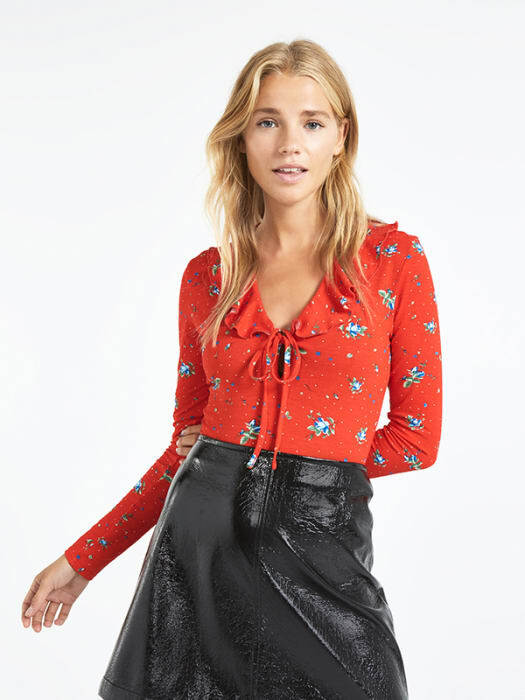 Tuck it into our black PU miniskirt for a snap-worthy colour clash.